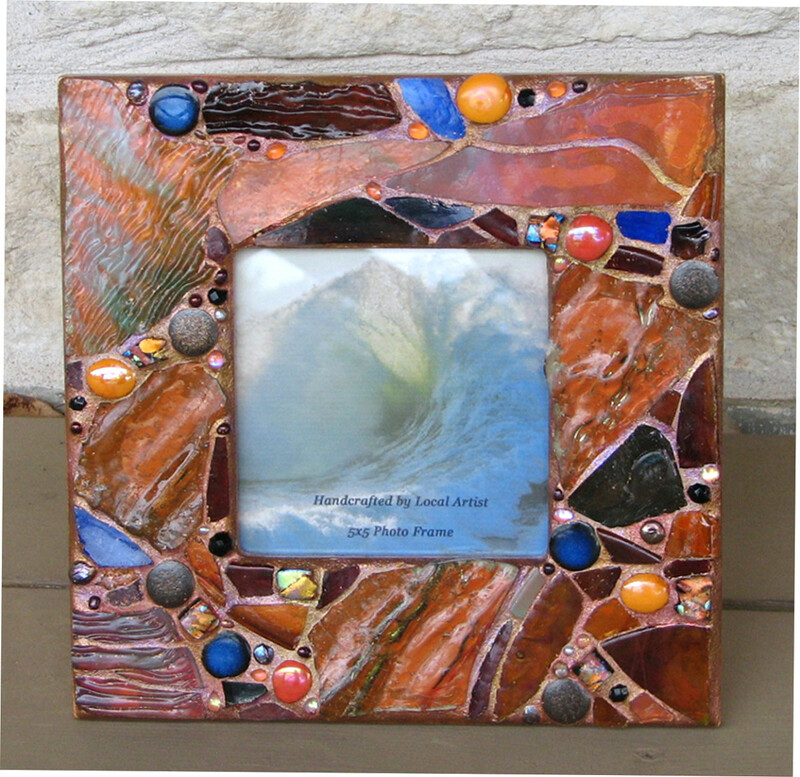 Susan has been creating stained glass pieces for over twenty years now, and it is a hobby she truly enjoys. 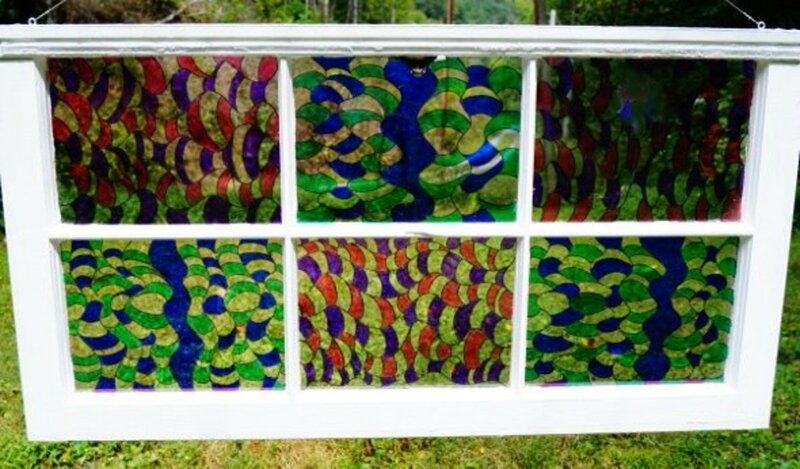 Creating a stained glass pattern is not as difficult as you might think. You can use various computer programs and methods to design or sketch your own. Downloading existing designs to create templates. Designing something custom from scratch. Finding designs in pattern books. There are various websites from which you can download free patterns. One of my favorite places to select patterns from is Spectrum Glass. To download patterns from this site, you will need to sign up for an account. The only thing required is your name and email address. Once you have an account you can view all the various patterns that they have to offer. When you find the pattern that you like, download it to your computer via a PDF (Portable Document Format) file. 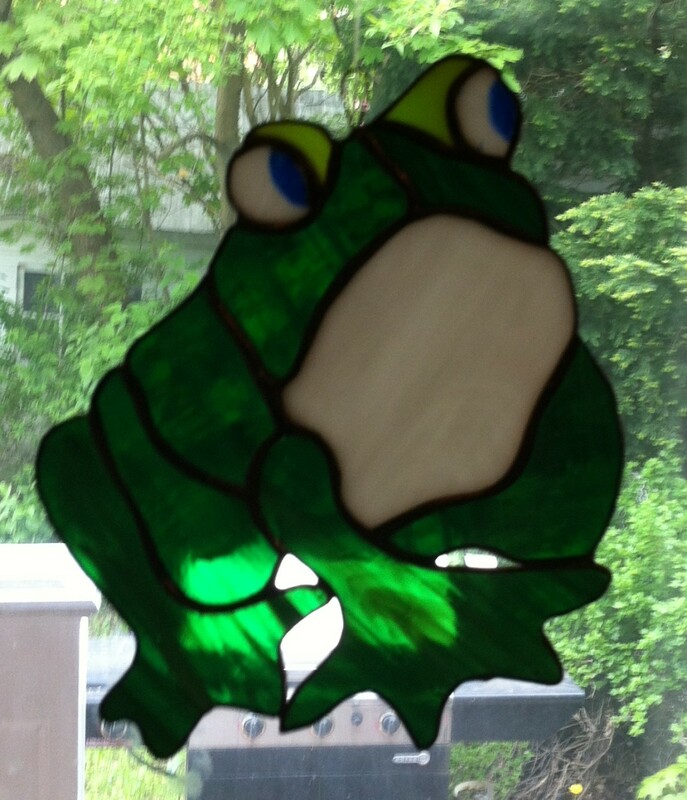 The picture of the frog is from one of the many patterns that I've downloaded to create a stained glass window hanging light catcher. Once the file has been saved to your computer you can print it or enlarge or shrink it to the size that you prefer. You will then want to print two copies. One to use as your pattern and the other to cut shapes for glass cutting. 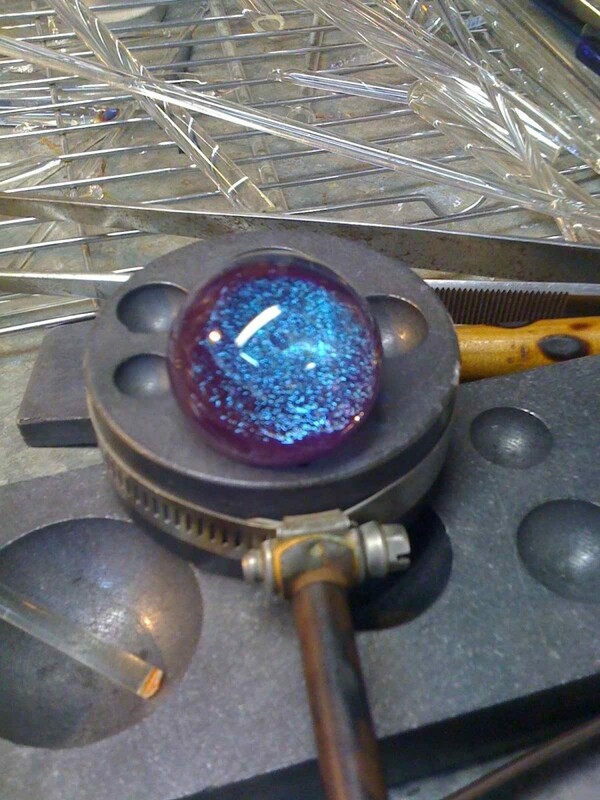 Glass colors and glass textures are your own personal preference as to what you use. These patterns do come with suggested colors. For the eyes you can use a marker to color them or use glass beads. 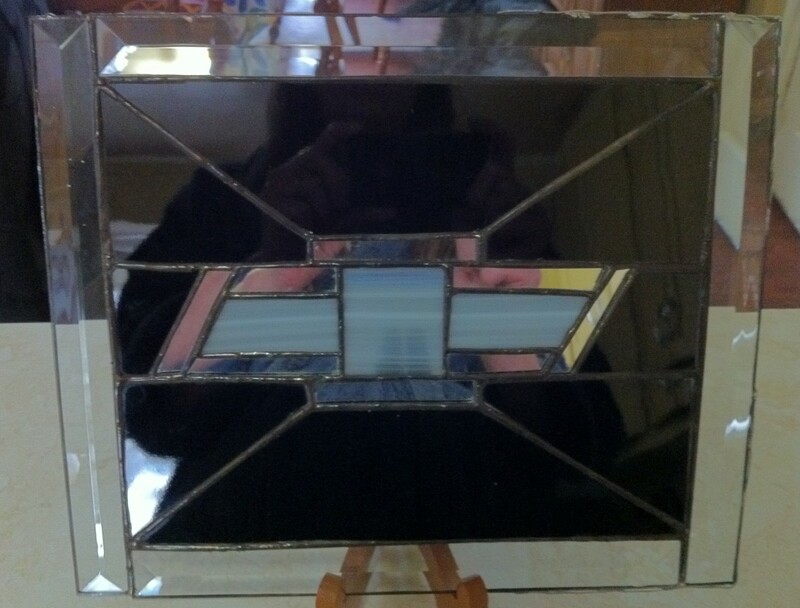 My husband is a big Chevy fan and I wanted to design a stained glass piece for the garage. I had an actual Chevy emblem from off of one of his vehicles, so I started with it. I drew out the pattern on a sheet of graph paper. I'd decided beforehand that the piece would have beveled glass to frame the piece. Bevels come in many different shapes and sizes. I chose four straight bevels measuring ten inches in length by one inch in width. I used mirrored glass on the emblem outline to make it look like chrome. The center of the emblem is a blue and gray striped glass. The background pieces are black onyx glass. Creating your own pattern can be fun and rewarding. Abstract pieces can be easily made by using graph paper, a ruler and a pencil. The first photo I show you in this article was made using a beveled flower. I saw it in a stained-glass supply store and liked it. When I bought it, I had no idea what I was going to make out, but I ended up creating this piece for a kitchen cabinet insert! The flower has 5 petals and the center piece. Measure the exact size needed for the insert on a piece of graph paper. Place the beveled flower in the center of the paper and trace around it. Draw the three flower leaves by hand. From there, draw out the rest of the pattern. Enlarge the pattern on a photocopier to the desired size or scan it on your computer to enlarge it. With a photo copier, it can all be printed out in one piece. If doing this on your computer, you may need to print it out in several sheets. Personally, I find it much easier to do on a photo copier. Scan the photo onto your computer and save it in a program or use with a stained glass program such as DragonFly Software. 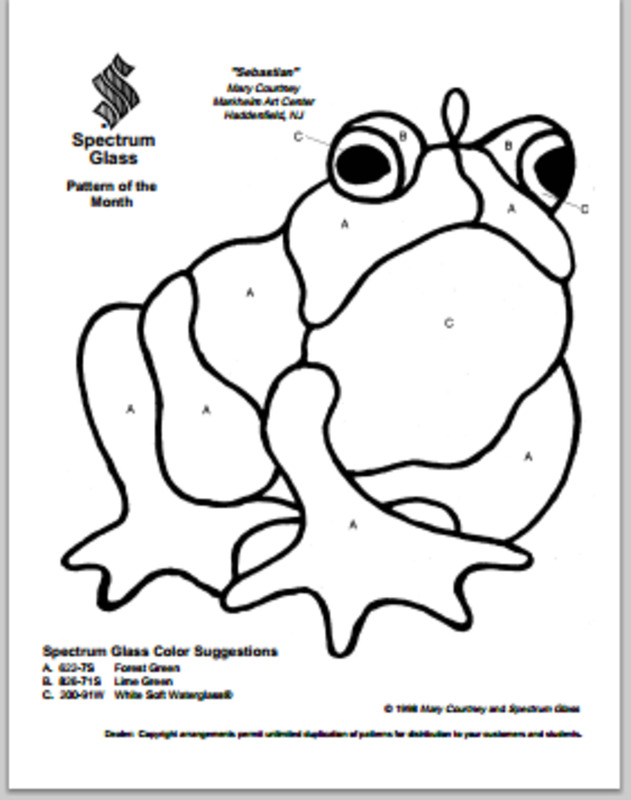 For making really cute sun-catchers, coloring books are a great place to find patterns. 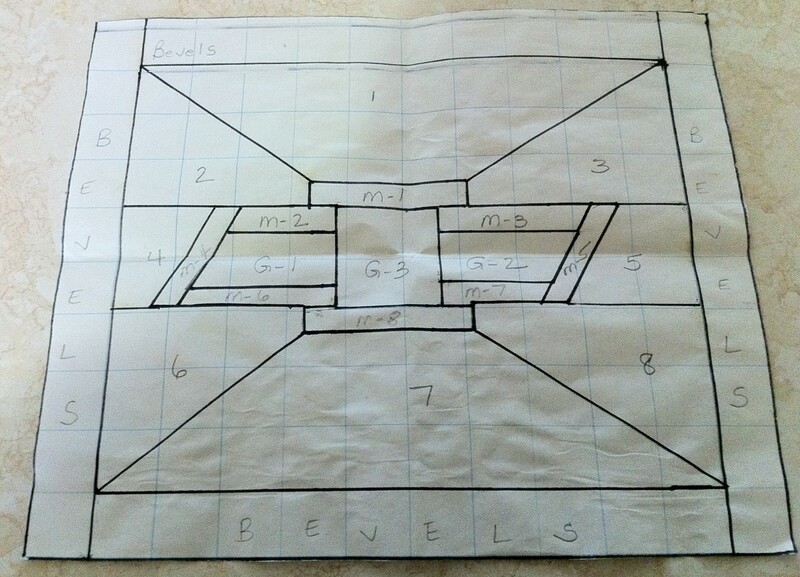 Simply trace over the picture using a piece of paper, and you have your basic pattern. 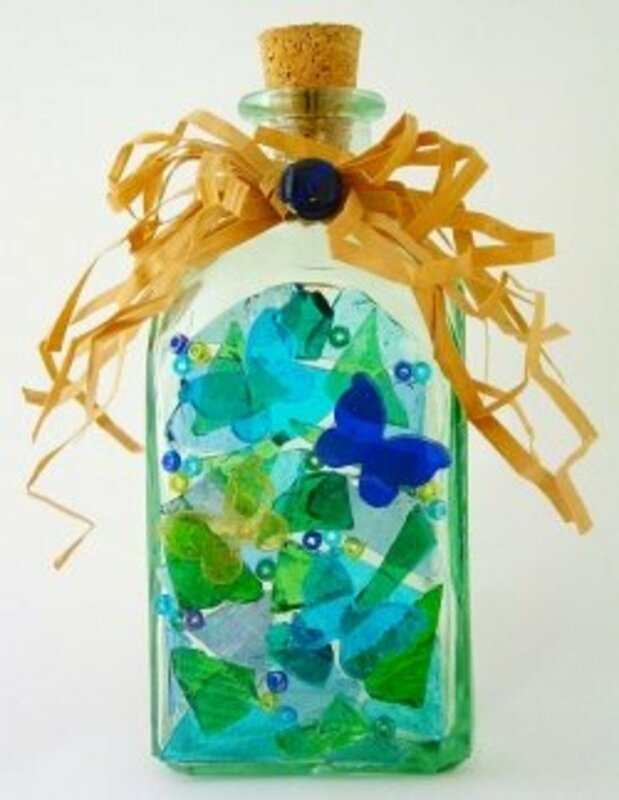 Make a copy of it so that you have your pattern, and then use the copy for the individual glass pieces you need to cut out. 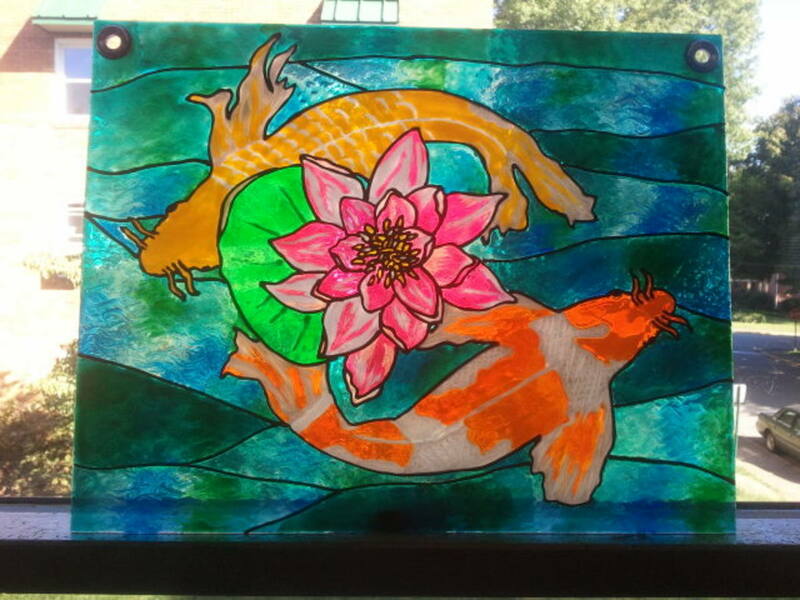 Have you ever made a stained glass piece? Yes stained glass is a hobby of mine. No I never have but would like to try this. I like stained glass but it is not something I would want to do. Thanks for this tutorial with tips and photos of your cute art projects. I love that you began the cabinet insert with the flower that you had no plan for--it's beautiful. 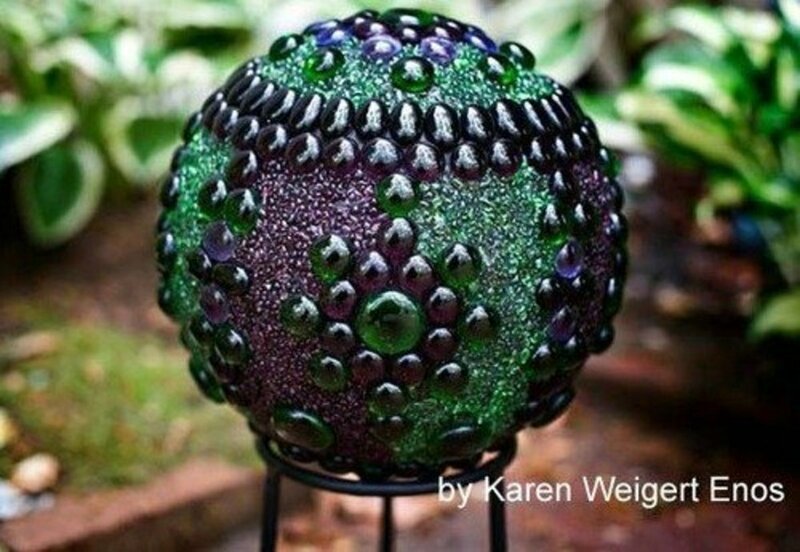 Thanks glassmosaicist for your link. I've bookmarked it so that I can follow your guide with your easy to follow instructions. Hi Susan, give it a go its fun! 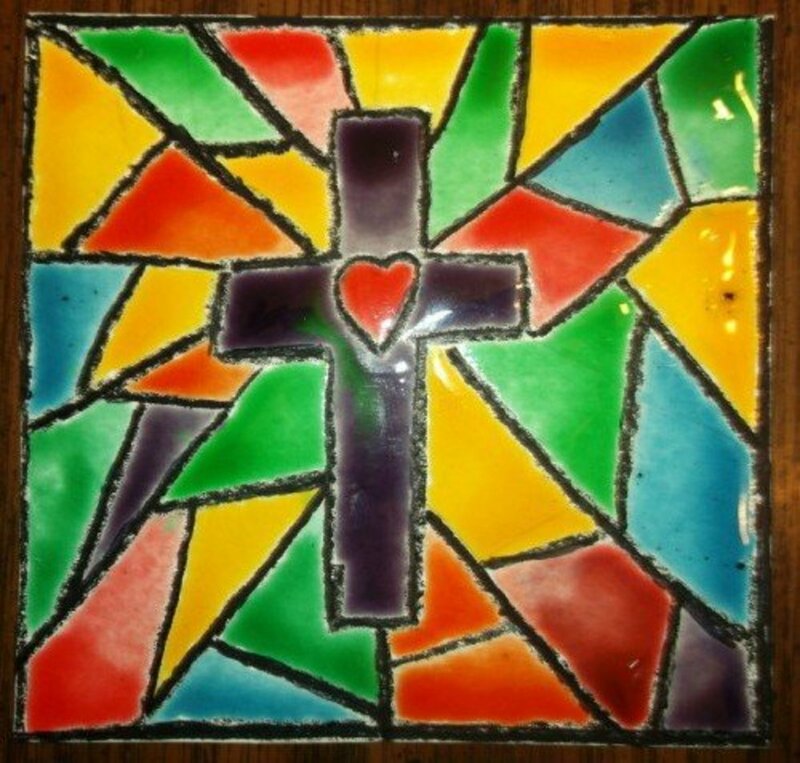 glassmosaicist, I've been wanting to try stained glass mosaic for quite some time now, and I even have an old coffee table that I want to try this on. vibesites, Stained glass is a great hobby. GoodLady, I have several stained glass hubs that you may want to have a look at. It's a fun hobby and I really enjoy it. Janis, Thanks for stopping by and for your comments. I always wanted to try stained glass. Your beautiful work is really inspiring! This is a beautifully designed hub with excellent photographs and useful information. Voted up all the way and shared. Amazing to learn that it's an accessible art form. Until I read your hub I imagined it completely impossible to do. I've always loved stained glass - in fact I'll be strolling round the Duomo of Milan next week and loving the beautiful stained glass windows all way round. I've always secretly dreamed of working with it too and now it seems it is possible. THANK YOU! In my grandmother's house there was a small window with stained glass, and I would sit on the stairs and love the amber and azure light that came through and lay in pools on the steps. Never thought of making one myself--now I see it is feasible, with these directions. Beautiful!! Judi, Thank you. I wish I had more time to put into my stained glass but seem to be so busy with other things these days. Love that first piece! Another thing to add to the growing list of "stuff I really would like to do when I've got time"! I'm pinning it so that I can find it when the time finally arrives. ishwaryaa, Thank you, I appreciate the link and will look for your upcoming hub. I am working on a hub related to this craft. I seek your permission to grant me the honor of linking your amazing hub to my hub. I am inspired by this amazing hub of yours. shea, With some of my pieces I solder a wire around the entire piece to give it extra stability. Most of the time the solder works fine all by itself. Lead cane is another option that I use when doing window transoms. I love this hub... what scares me it bracing / framing the pieces. Lesley, Thank you. I'm sure you'd love doing stained glass. If you ever have any questions please ask. ishwaryaa, Thank you so much. Glass painting looks like it would be fun too. 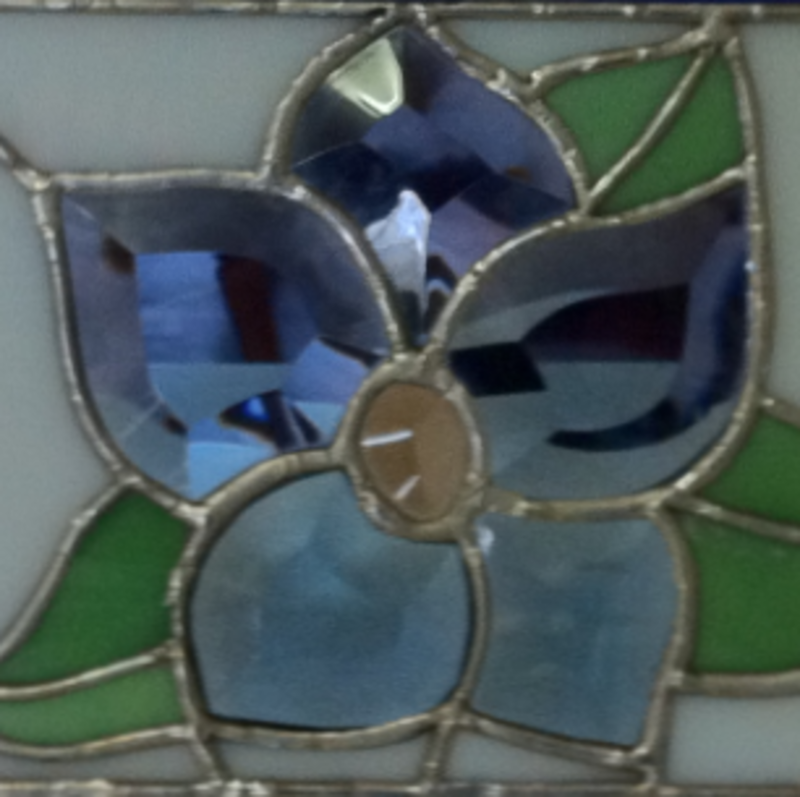 Hi Susan, your stained glass work is beautiful, I especially love the beveled flower. Thank you for the instructions, it's the sort of thing I would like to have a go at! 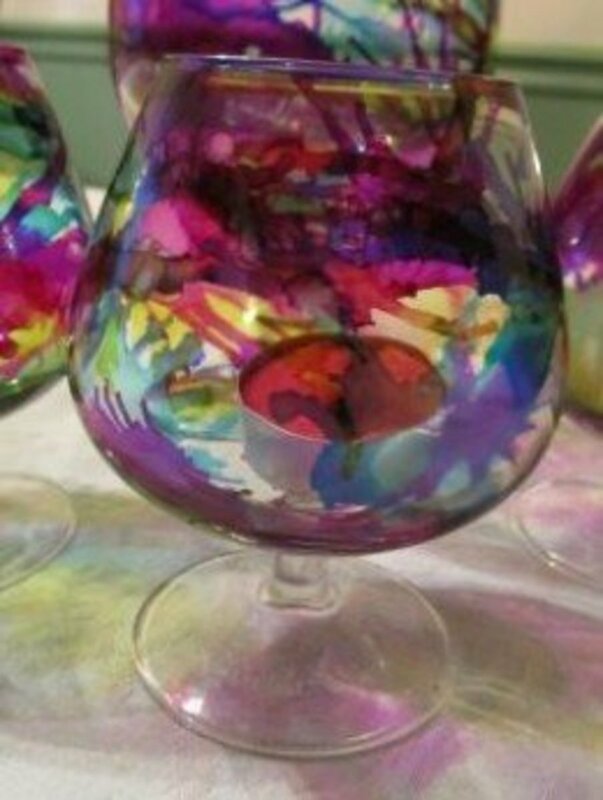 Your glass artwork is very beautiful, especially the beveled flower! The instructions and tips listed by you are very helpful. I always wanted to do some glass painting and I am inspired by this engaging hub of yours. Well-done! Thanks for SHARING. Useful & Awesome. Voted up. Angela, I've not done a stained glass piece in awhile now and I really do miss it. B ut I do plan on doing a hub with step by step instructions. Are you referring to bubbles while soldering the glass? Hi, Susan. I do admire your stained glass artistry, talent and fortitude. I want to be like you when I grow up. Oh, wait, it's too late. I've already been there and done that. I did stainglass when I was little, the hardest part for me was not have little bubbles. I would think I got them all and alas, there would be another one. Now I would like you to write a hub about how to make stained glass. :) If you haven't already. I actually should doublecheck. Fabulous hub! I love stained glass and my parents have made several things. I want to try it so bad - I keep going to the craft store and looking at kits but I'm worried it is hard. Is it very hard to cut the glass pieces? I've seen the tools - but idk? It doesn't look easy. The glass is gorgeous though. I love all the stuff you made! The Chevy sign is so clever!! Did Al love it? Rochelle, SilverGenes and Ruby, Thank all so much. Appreciate the lovely comments. I love stained glass. I have two pictures, one is a blue bird and one is apples. I would love to have a stained glass door. It would be nice to make something. You are so talented. Thank you..Pushed all the buttons..
Great hub, Susan! It's so much fun to see what talented people are creating - that must look gorgeous in the kitchen cabinet. Voted UP! I like all of the pieces. You did a nice job on all of them, and a great job on the hub.